WayForward Technologies has announced Shantae will be making a return "later this year" on the Nintendo Switch and multiple other platforms. 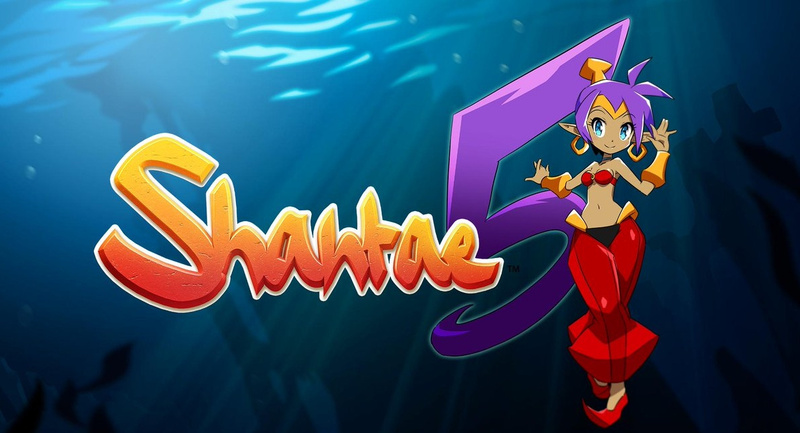 As this is the fifth entry in the long-running series, it's tentatively titled Shantae 5. The character's hair notably makes up part of the logo. Following this announcement, a fan reached out and asked about the possibility of Shantae: Risky's Revenge being released on the Switch to make the wait for the next game a little easier. WayForward responded saying it would keep the request in mind. Shantae originally started out on the Game Boy Color in 2002 and while it was well-received, suffered from poor sales due to the fact the majority of portable gaming enthusiasts had already moved across to the Game Boy Advance. Fortunately, the half-genie hero got a second chance in 2010 and has never looked back. Are you excited about Shantae's next adventure? Leave a comment below. Just announced, however i'm already RET-2-GO! Dancing through the danger again! Great! Love the evolution of her HGH design. Hopefully it goes back to the more Metroidvanian level design of the previous games. Can't really go wrong with Shantae so definitely looking forward to a new one. Half-Genie Hero wasn't my favourite but it was still a lot of fun. Hopefully this one can raise the bar even higher. How much hair gel was used for that picture? After a pretty meh day, this was just what I needed to get my spirits up. I'm Ret-2-Go on a new adventure! Looks like I'll need to catch up with the Half Genie Hero DLC in the meantime! 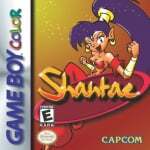 On the topic of Shantae, I had a question I wanted to ask about: Is there a known reason why the original game boy title is only available on the 3DS right now? They've ported their other titles to different platforms, and it seems weird that the game that started the franchise isn't available elsewhere, even on Steam. What a fantastic time to be a gamer!! I hope that's not the official name. Other than that I'm excited. YES!!! I've been waiting for this. Shantae never disappoints. Looking [way] forward to this. 6 DLC packs at $5.00 each. I hope it gets a physical release, it’d look great next to Pirate’s Curse and Half-Genie Hero. I hope if they’re using the animal transformations again that they refine it a little. I preferred what Monster Boy did, having a smaller number of transformations, but giving them all a lot of unique skills and a proper purpose. Some of the Half-Genie Hero transformations felt pretty shallow, like the tree that just lets you produce an endless number of healing fruit. Wonderful news! Day one buy for me. I'm still hoping we might see Shantae as a fighter in Smash Bros. too. Same and I'm currently playing my physical copy of Pirate's Curse (4th time since the original 3DS release) and will go back to and beat another mode in HGH (20+ hours logged so far, great game IMO) again. I will get this and will hold out for a physical copy. Every announcement for a release late in the year makes me start theorizing wildly that it's going to coincide with a Smash Bros DLC character. SWEET. Love this series! They still haven't topped the first one in my mind though and I wasn't a huge fan of 1/2 Genie Hero (especially the art style). Looks like this one is heading more toward the art style of the old school which is great! Can't wait for more details! Still put her in Smash, though. @Andrew5678 Good question. I LOVED the original and would freaking kill for a remake. Ugh they really love making her look grey colored. She looks super weird. I'm glad it's not April Fools Day yet cause I'm really excited for this game. Words cannot describe how ret-2-go I am for this. Here's hoping they return to the Metroidvania style! Awesome news! I love Shantae games. Very cool, I like this series and this is a nice surprise. I never played a shantae game, and I believe when people say they are good. But when i see them claim they are the best games of all time i just laugh. Too many people like that. Although that doesnt really matter i guess. Nice, I’ve played and beaten the other games. I’m ret 2 go for 5. @invictus4000 Same. It's an older title, but it still holds up surprisingly well (it was made later on in the Game Boy Color's lifespan, which probably helped), and could probably earn some sales with a straight port-or maybe an option to play with the original pixel graphics. I'm just surprised this hasn't happened yet. Cuphead, Cadence Of Hyrule and now a new Shantae, what a week! Pre-ordering and waiting very, VERY patiently. Just got Shantae: Half-Genie Hero recently and loving the game. And this news make me even more happier! The 5 made out of hair is pretty clever. Shantae is one of the few franchises that I'll buy every installment from without question. Love that Half-Genie! I'd also buy Smash if she was in it. A 3D model of Shantae would be worth twice the asking price to me. Iusto non commodi omnis excepturi. Adipisci nihil quis nostrum voluptatem fugiat fugit debitis. Sunt quia tempora ex qui repellat provident. The first sequel to feature a number (that makes sense) ! Here's hoping the first two games will eventually make their way to Switch as well. The GBC original was quite a technological and artistic feat, as well as an enjoyable game in its own right. Meh, got burned by the last game. If it ain't metroidvania this time around, I'm skipping. Bwahaha! That gif never gets old! I despise Apple Arcade already. @PBandSmelly Let me tell you why Shantae is in my top 3 platforming franchises. 1. Solid platforming. Jumps, moves attacks are all tight. 2. Great humor. They don't take themselves seriously. 3. Great music. The tunes are upbeat and funky. 4. Overall progression design. Each area is different and fun, but the story and skill set compels you to keep going until the final boss. This is great news! I cannot wait! ! ! ! ! ! Loved the first entry, which I played last year in 3DS Virtual Console (I'm not willing to spend 500 euros in a game, sorry), and I have entries 3 and 4 unplayed because I want Risky's Revenge Director's Cut (Wii U) and don't want to buy it, because the moment I do it, it will get discounted. I'm positive. I've been tracking for a whole year and not even once has been discounted. Last time was December 2017. The other entries were, but not this one. I tried the first three games, and they never clicked with me...I guess I prefer Sci-fi. Gimme an Axiom Verge, Metroid, or Blaster Master any day of the week! Nice a new Shatae game. I be getting this on switch for sure unless a big switch tax between this and the other versions. I've played the others so will likely get this one too. I'm wandering if they will try to move the series into 3D? I'm really hoping so. To be honest another genuinely amazing 2D platform adventure isn't big news anymore – and I have a backlog of such high-quality titles to work through. So even with Shatae's impeccable history, without them trying to stand out from the crowded 2D space – I'm not sure I care. But that's just me. So please devs, move over to the baron-landscape of modern 3D platformers and Isometic games please. Yup, this will be day-one for me. Love this series. So glad the Shantae series is going strong, and it's not too far off either. 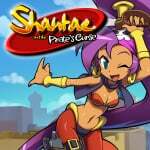 I've never played a Shantae game that I disliked, although Pirate's Curse was by far the best. @Sandro89 the wording of Apple Arcade was slightly misleading. It said you won't find on any other mobile platforms or subscription services. Which doesn't include PC and Consoles. Other games shown on apple Arcade are planned for other platforms. One of my favorite modern franchises (well, within the past 10-20 years anyways seeing as the GBC game is at least 15 years old by now). Between this, Yoshi, Team Sonic Racing, Super Mario Maker 2 and CTR Nitro Fueled this year is going to be incredible. One has to wonder why this was kept out of the last Nindie Direct (Nindirect), although most possible answers point to yesterday's PlayStation Direct State Of Play. Hell yeah! 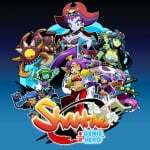 I adore the Shantae franchise and hearing this news has made my day! Can’t wait to pick this one up, the day it’s released! Ooooh. This is good news. Love me some Shantae (and Wayforward in general). I like this art style better than 1/2 Genie Hero as well. Great news! I personally hope it’s done with pixel art or at least changes the art style from half genie hero. Pirates curse is one of my favourite 3ds games and wayforward are great at metroidvania games. To go through only handful of levels again and again? No, thank you. Shantae made me hate backtracking. That's great news! Such a great series, though the previous one wasn't the strongest, it was fun. Hopefully it is better then the last one. I have yet to do the last level of that one. That game couldn't hold a candle to the fantastic Pirate's curse!